Researchers say that advances in brain imaging can now identify a greater number of stroke patients who can receive therapy later than previously believed. The results of the Endovascular Therapy Following Imaging Evaluation for the Ischemic Stroke (DEFUSE 3) trial were presented at the International Stroke Conference 2018 in Los Angeles and published on Jan. 24 in the New England Journal of Medicine. The research demonstrated that physically removing brain clots up to 16 hours after symptom onset in selected patients led to improved outcomes compared to standard medical therapy. The study was funded by the National Institute of Neurological Disorders and Stroke (NINDS), part of the National Institutes of Health (NIH). DEFUSE 3 was a large, multi-site study supported by NINDS’ StrokeNet, a network of hospitals providing research infrastructure for clinical trials. This study was conducted at 38 centers across the United States and was led by Gregory W. Albers, M.D., professor of neurology and neurological sciences at Stanford University School of Medicine, in California, and director of the Stanford Stroke Center. According to the news release, the study was ended early by the NIH on recommendation of the independent Data and Safety and Monitoring Board because of overwhelming evidence of benefits from the clot removal procedure. Ischemic stroke occurs when a cerebral blood vessel becomes blocked, cutting off the delivery of oxygen and nutrients to brain tissue. Brain tissue in the immediate area of the blockage, known as the core, cannot typically be saved from dying, and it can enlarge over time. However, it has long been thought that the area surrounding the core (known as the ischemic penumbra) has the potential to be saved based on how quickly the blood flow can be restored. 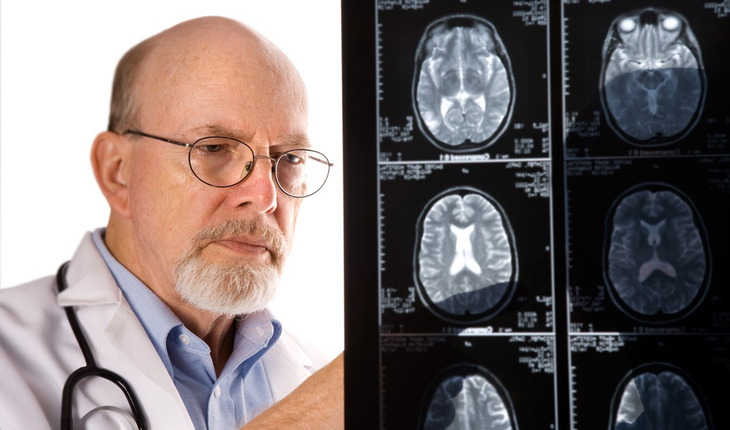 Over the past two decades, scientists have been working to develop brain scanning methods, called perfusion imaging, that could identify patients with brain tissue that can still be salvaged by removing the blockage. In perfusion imaging, a standard dye is injected and scanned for a few minutes as it passes through the brain. Using an automated software known as RAPID to analyze perfusion MRI or CT scans, the DEFUSE 3 researchers identified patients thought to have salvageable tissue up to 16 hours after stroke onset. The news release said that participants were randomized to either receive endovascular thrombectomy plus standard medical therapy or medical therapy alone. Endovascular thrombectomy, or the physical removal of the blockage, is currently approved for use up to six hours following onset of stroke symptoms. Albers and the DEFUSE 3 researchers discovered that this intervention can be effective up to 16 hours after symptoms begin in this select group of patients. The findings showed that patients in the thrombectomy group had substantially better outcomes 90 days after treatment compared to those in the control group. For example, 45 percent of the patients treated with the clot removal procedure achieved functional independence compared to 17 percent in the control group. In addition, thrombectomy was associated with improved survival. According to the results 14 percent of the treated group had died within 90 days of the study, compared to 26 percent in the control group. “Although stroke is a medical emergency that should be treated as soon as possible, DEFUSE 3 opens the door to treatment even for some patients who wake up with a stroke or arrive at the hospital many hours after their initial symptoms,” Albers said in the news release. DEFUSE 3 builds on results from the two earlier DEFUSE studies as well as the industry-sponsored DAWN trial, which used perfusion imaging technology to identify patients most likely to benefit from interventions such as thrombectomy. Those studies suggested that the advanced brain imaging could identify which patients could benefit from restoring blood flow in an extended treatment window. This work was supported by the NINDS, the nation’s leading funder of research on the brain and nervous system. The mission of NINDS is to seek fundamental knowledge about the brain and nervous system and to use that knowledge to reduce the burden of neurological disease. About the National Institutes of Health (NIH): NIH, the nation’s medical research agency, includes 27 Institutes and Centers and is a component of the U.S. Department of Health and Human Services. NIH is the primary federal agency conducting and supporting basic, clinical, and translational medical research, and is investigating the causes, treatments, and cures for both common and rare diseases. For more information about NIH and its programs, click here.